ARIES – Your love signs are shining bright today. Under its influence you would be very expressive in your affection today. Parents would be very proud of their children. They would excel in their studies or co curricular activities and they would become famous. Those seeking an employment opportunity might meet someone influential today. They need to ensure that they make a good impression. Those in the legal profession will work towards establishing their business and career. They would take the steps towards this goal today. Sportspersons are advised to be very careful of their enemies. Today they should go to the extent of being careful while dealing even with friends. A very special day for those blessed with artistic talents like literature, music, painting, etc. they would gain wide acceptance and appreciation for their talents. 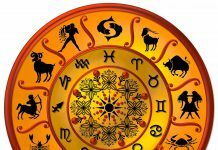 TAURUS – A sudden illness to an elderly person in the family might force you to postpone a family outing today. You may enjoy a holiday with your beloved today. Businessmen and industrialists will benefit immensely by signing long-term international trading contracts. Not a favorable day for students. They might waste time with friends or get into arguments with them. A favorable day ahead for teachers and their work today. Your common sense and an intuitive sense of mistrust will protect you today in your financial matters. You might prevent yourself from getting cheated. GEMINI – Minor quarrels with your beloved might make this day very sad for you. It’s better that you take the initiative to patch up. Those who are married might spend most of their day at work today. This might be their way of avoiding confrontations at home. You have an intense desire to travel and visit famous places around the world. You will today be able to plan your work in such a way that it can even facilitate your travel. Students appearing for their exams are advised to work hard and to constantly keep revising their studies. Politicians may get opportunity to patch up with a co-worker with whom they have had a tiff. You may inherit money of property today. The initial process of transfer to your name will start today. CANCER – Parents might restrict lovers from meeting each other before they take the final decision on marriage. Those who are single might be overburdened with work today making them very short tempered. They are advised to be patient while dealing with their officers. You are very keen on gaining knowledge through your travels. You learn new things about people and places as you travel. Share brokers and gamblers could be very lucky today. They might win everything they touch. Politicians will today be recognised for their work and all the effort they put in. You might experience a healthy, comfortable and peaceful day ahead. LEO – Reach out to the person you love and celebrate togetherness today. Those who are awaiting the results of a job interview would get a favorable result today. Students might today start preparing for their next level of studies. Sportspersons will be very active today. They would feel very energetic and up to a challenge or adventure. You might enjoy a good, healthy and comfortable day today. VIRGO – Fever or headache may prevent those seeking a job from attending a test or a job interview. Not a favorable day for students not too keen on extra curricular activities. They might fail in music, sports or games. They needn’t give up hope though. Ambition to excel would be what drives professional players today. You will enjoy a healthy day today and will be in your elements. 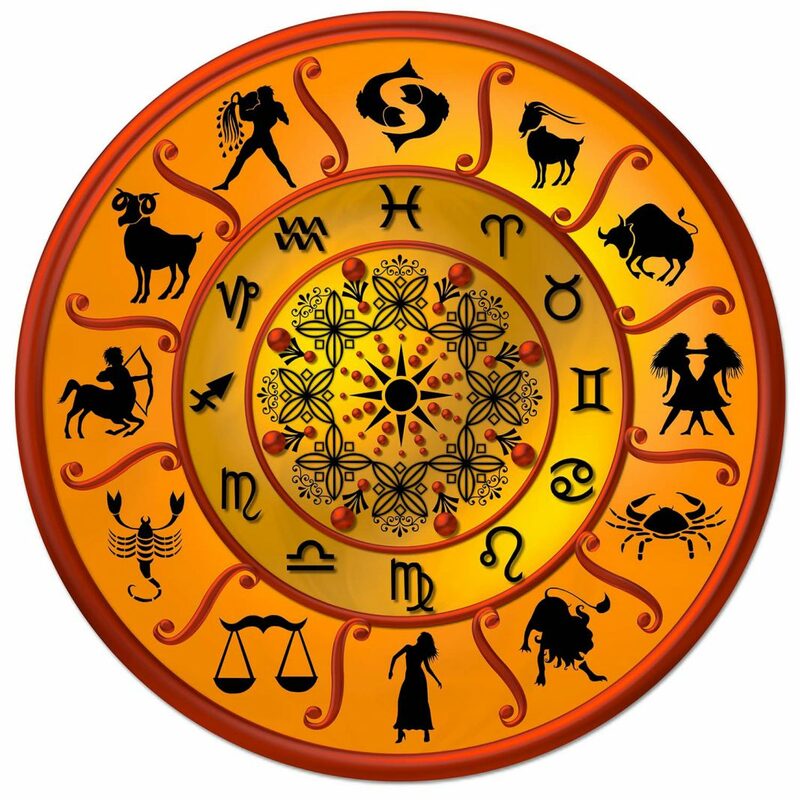 LIBRA – Unexpected problems in the family might keep you from meeting your beloved today. Those who are married might worry about children today. A long trip is predicted for you. The journey would take you away from your family for some time. Students who are not in the habit of working hard may have to face a trying day today. Teachers may be assigned new duties along with their existing job. Politicians would today be noticed by people who matter and are influential. This would be very beneficial for their career. SCORPIO – Parents or relatives might bring suitable marriage proposals for those who are eligible for marriage. A group of explorers might invite you to join their travel. This would be a dream come true. You have always desired to gain knowledge through travel. Businessmen and industrialists may today get an opportunity to make long-term property investments. Real estate businessmen may just relax today as personal property transactions would go smoothly. Politicians with an enterprising spirit may rise to prominence today. They would be able to advance their career and attain a higher position in their party. A tight control on finances will help maintain financial stability. SAGGITARIUS – A good day if you are planning to go out on a pleasure trip with the family. Doctors may have to take on other responsibilities as well along with their current job. Those in the technology field might take too long to make a decision. They might put off the decision till the last minute. This would provide a negative result. Accountants will be burdened under the amount of work they would be sieged with today. Those who are trying to sell their land or building will receive a favorable response today. A favorable day to deal with matters like tax and the banks. CAPRICON – Romance will make you happy today but it might also be heavy on your wallet as you might have to spend money in entertaining. Children who respect their elders and have a kind and generous heart towards the poor will gain the love and admiration of all at home and school. Those who are seeking a new job might get an offer for a new job. This will also bring them fame and recognition. Those who are in the legal field will be very enthusiastic and will be very successful today. Students should make sure that they are not overconfident today. Some personal problems might crop up which might disrupt their studies. AQUARIUS – Today you might look forward to improving and old relationship. Children will today excel in their exams. They will pass out with flying colors. Parents will be very proud of their achievements. The unemployed may finally expect some good news. Job offers or new opportunities may come from old friends or relatives today. Legal professional might find lot of changes happening around them. But they needn’t expect any radical change at work. Today artists would be very comfortable and confident of themselves and their creative talent. PISCES – For those who are married, today’s family life would be very peaceful. Children and elders would all put in their contribution to make this an easeful day. An unexpected business trip might disturb your schedule. But eventually the trip and the consequences would work out in your favor. Keep an open mind towards unusual business proposals. They may come from the most unexpected quarters. Although you might feel apprehensive about them, they might eventually turn out to be very profitable. A favorable day ahead for those planning to build their own house. An excellent day for teachers to devise new strategies and other academic activities. Financial problems that might crop up during the first half of the day would get sorted in the latter half today.